Precision farming involves the use of software, drones and sensors to gather, process and analyze data, enabling real-time farm monitoring and information sharing. Examples include artificial intelligence, driverless tractors, drones, open data and vertical farming. 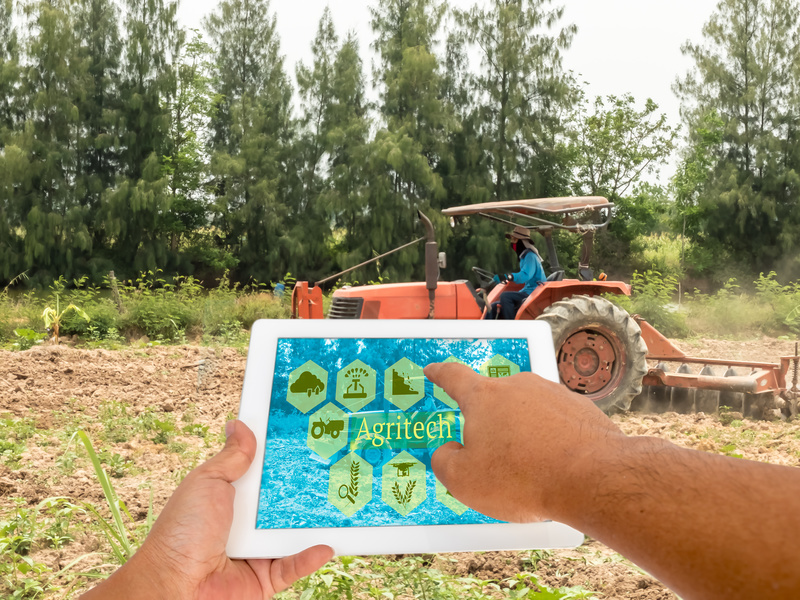 By 2022, the precision agriculture market will reach $ 7.9 billion globally, according to Beige Market Intelligence, growing at a compound annual growth rate (CAGR) of 16%. Grand View Research, however, forecasts more substantial growth, expecting the market to reach $43.4 billion by 2025. Sensors are placed in fields to measure the humidity, nutrition level and temperature of the soil. Satellite farming uses several technologies including Global Positioning Systems (GPS), Geographic Information Systems (GIS) and remote sensors to collect field data. The information is used to make decisions regarding crop planting, fertilizing and harvesting. Precision agriculture is also called site specific crop management. Today the world’s population is 7.3 billion people. However, this is expected to climb to 8.2 billion by 2025 and 9.7 billion by 2050, according to Frost & Sullivan. This means, farms will need to produce 70% more food to keep up with population growth. Farmers are increasingly adopting the technology because it improves crop quality and reduces waste while using limited resources and with minimum human effort. Other factors contributing to growth include changing weather patterns because of climate change, urbanization, the increased use of smartphones and cloud technology, a decrease in sensor prices and the development of GIS and Global Navigation Satellite Systems technologies. An emerging trend in the precision agriculture market is the use of unmanned aerial vehicles. Lawmakers are in the process of establishing new regulations or updating existing regulations to address drone usage. The market also is experiencing challenges. Restraints on market growth include the affordability of the technology and the large investment required. Lack of awareness about the benefits of precision agriculture, especially in the developing countries, also hampers growth. Another factor potentially hindering market growth is biometrics technology-based devices. The public fears these devices pose a risk to individual privacy, and can be stolen or misused. GPS generates the highest revenue. GIS is forecasted to have the highest CAGR by 2022. 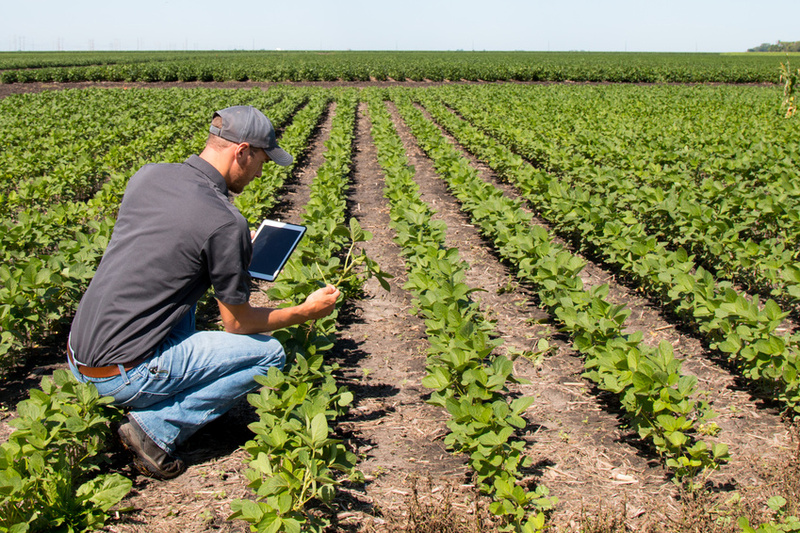 Half of smartphones are expected to be embedded with precision agriculture services. Increased adoption of technology will cause the variable rate technology to grow. Asia-Pacific is the region that will experience the most growth. 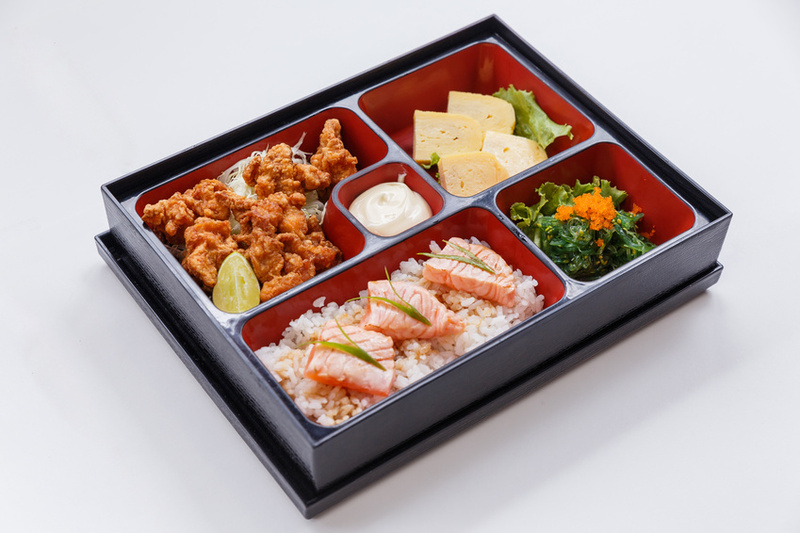 The prepared-meals market is forecasted to reach $99.1 billion globally by 2021, according to GlobalData. In 2016, the market was valued at $83.4 billion, representing a compound annual growth rate of (CAGR) of 3.5%. Prepared foods are defined as having a stable shelf life. They can be dried, canned, boxed chilled or frozen. These foods require no preparation other than heating before being served. The most common covering type is film. This category also includes pasta, rice, noodles, canned meat, and meat-substitute dishes. Many factors have led to this market’s growth. The demand for convenient and ready-to-eat products has risen as more women enter the workforce and people lead increasingly busy lives. Customers are seeking products that save time and effort. Changing eating patterns also have boosted sales as fewer people make time to cook food from scratch. In developing countries such as India and China, the younger population lacks, not only time, but cooking skills. Finally, urbanization in Latin America, the Middle East and Africa has lead to more families with disposable incomes. The market also faces several challenges. In developed regions, market players face intense price battles while in emerging countries, there is economic uncertainty. There also is the perception that frozen and chilled categories are unhealthy because they contain few vegetables and have preservatives. 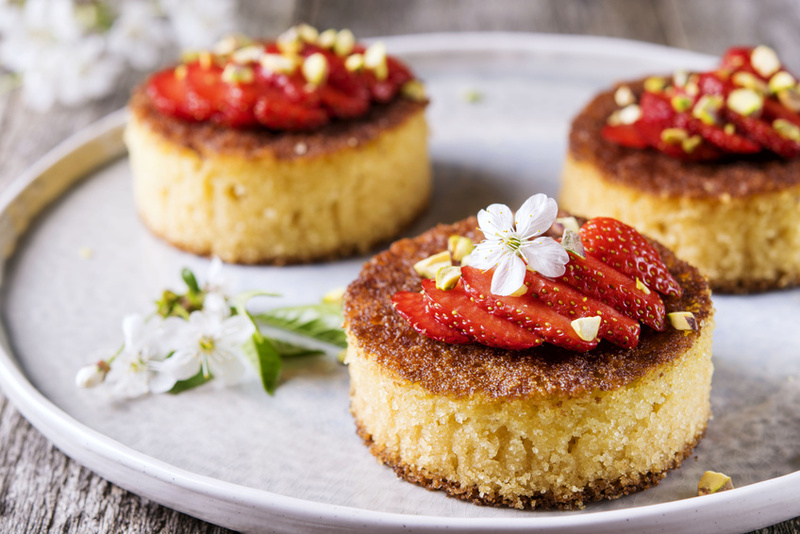 To overcome this, manufacturers are launching products with healthier recipes, featuring natural and organic ingredients. They also are using labels when products are “free from” certain ingredients. Growth strategies include introducing healthier snacks and a wider distribution. The global market is highly fragmented. The top five brands – Stouffers, Heinz, Amy’s, Marumiya, and DiGiorno – hold less than 11% of the combined market share. Nestlé owns two of these brands. Even regional markets are highly fragmented. In Eastern Europe, for example, the top four brands hold only a 14.9% combined market share. Eleven distribution channels are used by this market. The largest are hypermarkets and supermarkets, holding a 68% market share, and convenience stores, at 19.7%. The next largest channels are health and beauty stores, department stores, cash- and-carries along with warehouse clubs, dollar stores, variety stores and general merchandise retailers. In 2016, the largest market was the U.S. with a 23.3% share of global sales. By 2021, China is forecasted to be one of the fastest-growing markets, with a CAGR of 9.2%. In 2016, Western Europe was the largest regional market with a value share of 39.5%. By 2021, Asia-Pacific will grow at a CAGR of 6.5%. By 2022, the food traceability market is forecasted to reach $19.7 billion globally, according to Stratistics MRC. This represents a compound annual growth rate (CAGR) of 12.2% as the market was valued at $8.7 billion in 2015. 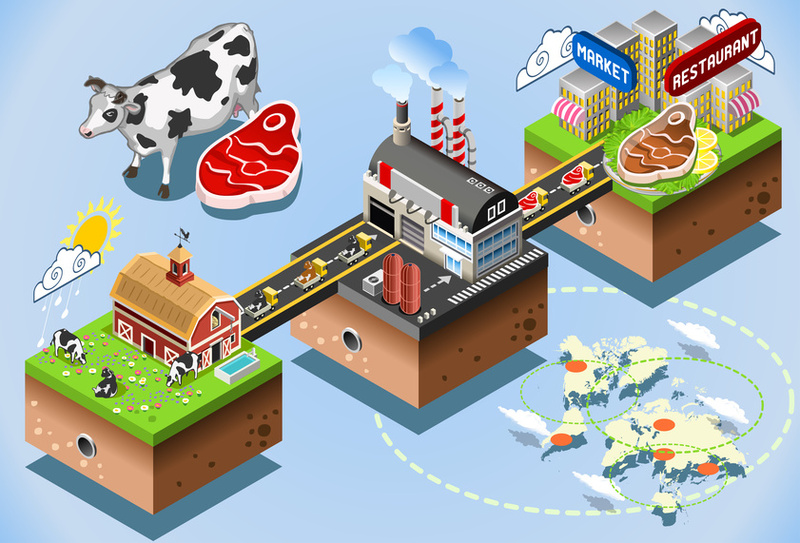 Food traceability systems collect data about the objects and their movements, cutting cost. This information can be used to forecast sales by tracking goods in inventory, and replenishing stock regularly. The top consumer in the market is North America. However, increased opportunities in emerging economies and technical advancements means Asia-Pacific is expected to grow at the highest CAGR. Globalization has created an international food trade. The downside is that it also has increased the threat of bioterrorism, contagious diseases and the contamination of food products. “According to the U.S. Centers for Disease Control and Prevention, an estimated 48 million people (1 in 6 Americans) get sick each year from foodborne diseases. Approximately 128,000 are hospitalized and 3,000 die each year. This doesn’t have to be the case. Much of this can be circumvented through process regulation and standardization,” Victoria Brown, senior research analyst, IDC Retail Insights, said. Food traceability is an important part of quality control becoming a crucial, a tool used to prevent diseases such as avian flu, foot and mouth disease, and mad cow disease, and other potentially hazardous health effects. 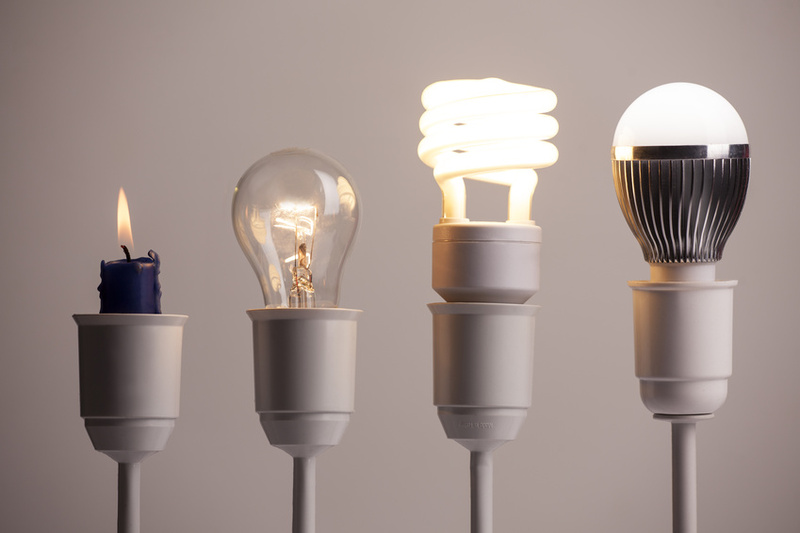 Growth in the market is driven by a variety of factors including certifications and standardizations, strict government regulations, product loyalty and an increased awareness among consumers. The market represents tremendous opportunity for vendors to invest in the research and development of secure, low-cost and unique traceability systems. Emerging economies also represent great opportunity. The use of increasing adoption of cloud computing, quality management solutions, enterprise resource planning and warehouse management software also has contributed to market growth. Challenges to the market include the need for dissimilar products and confidentiality issues. Consumers are skeptical about privacy, and information can be lost to competitors or hackers. Traceability systems, therefore, must be secured properly to avoid data theft, other security issues and financial losses. In 2016, the food traceability technologies market was valued at $10.7 billion globally. By 2021, it is expected to reach $15.1 billion, growing at a CAGR of 7.1%. The radio-frequency identification segment is anticipated to grow at the highest CAGR. In 2016, it was valued at $2 billion. The market is forecasted to reach $4.3 billion in 2021, a CAGR of 16.9%. The largest market is barcode technology. The segment was worth $7.8 billion in 2016 and is forecasted to reach $9.5 billion in 2021, growing at a CAGR of 4.2%. Last year, the pet food market was valued at $75 billion globally, according to Inkwood Research, while between 2016 and 2020, Technavio predicts, the pet care market will grow at a compound annual growth rate (CAGR) of 4.7% globally. The market is growing because more households are treating their pets as a part of the family. This is called pet humanization and means pets are given the same care as humans when it comes to hygiene, eating habits, lifestyle and health. The major concern of pet owners is obesity, which has caused an increase in healthy pet food. The pet food market is broken into numerous categories based on geography, pricing, sales channels, ingredient types, animal type, and product. These categories are further subdivided. The animal type category, for example, is divided by species, and price is segmented into economic, premium and super premium price points. The product type category is subdivided into dry foods, wet foods, liquid food, treats, organic and veterinary diets. 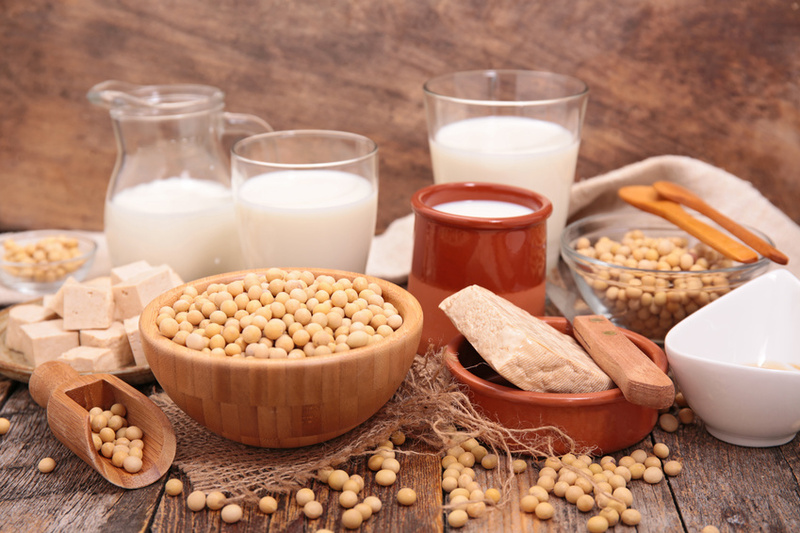 Dry and wet foods are further divided into grain free and others. Ingredient types is divided into animal, plant or cereal derivatives, cereals and others. A challenge to market growth is pet allergies to certain ingredients. Pet care products include not only food, but accessories, hygiene products, healthcare products, and grooming products. Packaging can help a product succeed in a crowded market. Between 2014 and 2019, the pet care packaging market is forecasted to grow at a CAGR of 2.97% globally, according to Technavio. Because the pet food market is highly competitive, packaging lets products stand out on the shelf. Therefore, packaging is designed to catch consumers’ attention using unusual product shapes, stylish packaging or visuals inspired by human food. Customers also appreciate packaging that provides pre-measured and easy dosage portions. The pet care products come in bags, folding cartons, metal cans, plastic bottles, pouches, and other packaging formats made of paperboard, rigid plastic, rigid metal, flexible packaging and other materials. 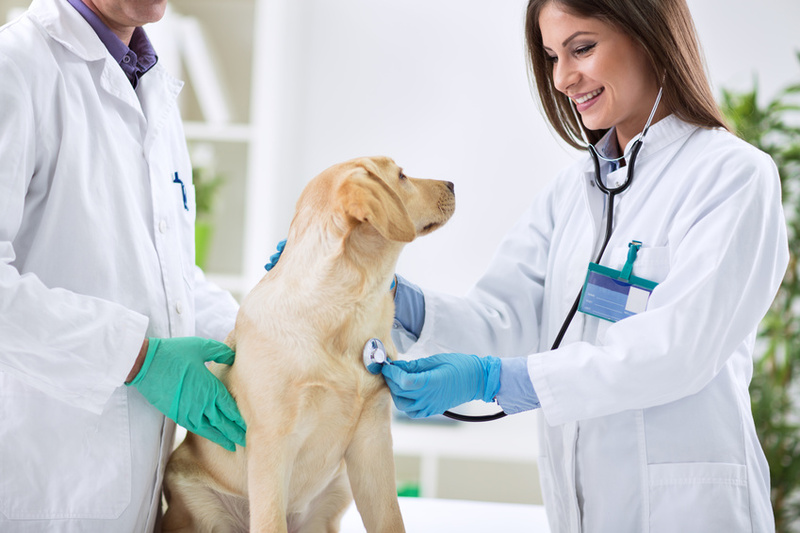 Veterinary services provide healthcare for pets, farms, zoos and wildlife parks. As with human healthcare, electronic health records provide a way to collect and store health information about patients. Electronic health records increase efficiency and allow vets to access a pet’s history making it easier to identify trends and long-term changes. North America is the largest market in the pet food industry, accounting for a 40% of global market share. Europe is the second largest market followed by Asia- Pacific. Between 2016 and 2020, the global mobile pet care market is forecasted to grow at a CAGR of 5.3%. The largest segment is mobile pet grooming. In 2016, the Americas had the largest share in the veterinary services market, accounting for a 45% market share. It is followed by Europe, Asia-Pacific, the Middle East and Africa. In 2014, the precision farming market was worth $2.81 billion globally, according to Stratistics MRC, and is forecasted to reach $6.43 billion by 2022. This represents a compound annual growth rate (CAGR) of 12.5%. In 2015, the market was valued at $3.20 billion. According to MarketsandMarkets, the market will be valued at $7.87 billion by 2022, growing at a CAGR of 13.5%. Precision farming is the tech-driven information analysis of data to increase crop productivity. Growth in the market will come from telematics technologies, improved cost efficiency and government interventions. The market will be challenged, however, by a lack of technical awareness among farmers and a high initial investment. The growing demand for food also is leading to the adoption of precision farming techniques. Adoption of the technology in Asia-Pacific is forecasted to grow by double digits. The region experiences high population growth and has large farmlands. The nations with the largest market share are Australia, China, India, and Japan. The Internet of Things may provide a practical solution to the growing global population, one that’s expected to reach at least 11 billion by 2100, according to the United Nations. Drones can be used to analyze soil and water conditions, sending the information back to farmers’ mobile devices. Sensors can be used to monitor livestock and machinery. Farm equipment manufacturer John Deere has entered the Internet of Things market. It’s technology the company’s customers are seeking. The company’s SeedStar Mobile app allows farmers to conduct a row by row assessment and see which seedlings are growing correctly and which are not. The app can be used on a tablet attached to a John Deere machine. In 2016, precision farming technologies totaled $3.3 billion and are expected to reach $5.9 billion in 2021, growing at CAGR of 12.4%. In 2016, the hardware segment totaled $2.1 billion and is expected to reach $3.6 billion by 2021, growing at a CAGR of 10.8%. In 2016, the software segment totaled $1.1 billion and is expected to reach $2.3 billion by 2021, growing at a CAGR of 15.2%. The most widely used application in precision farming is yield monitoring. A major application of yield monitoring is soil monitoring used to detect soil parameters needed for an efficient yield production. 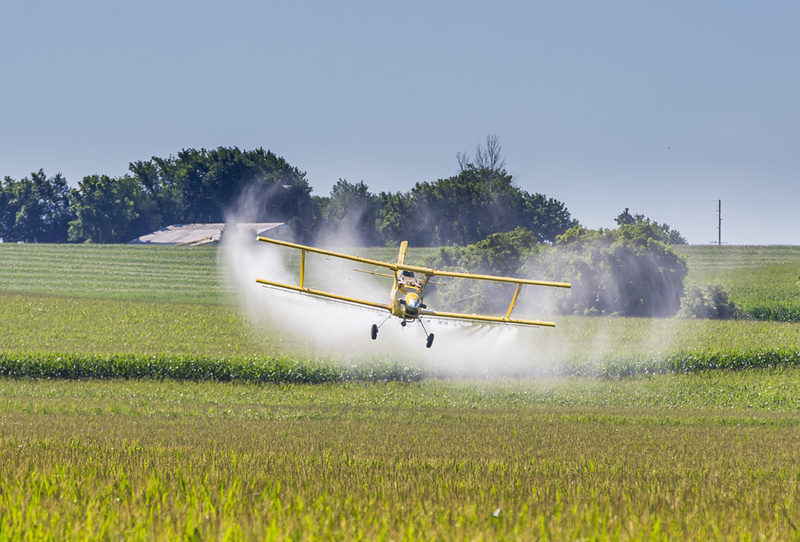 By 2022, the nematicides market will reach $1.43 billion globally, MarketsandMarkets forecasts, growing at compound annual growth rate (CAGR) of 3.3%. In 2015, North America was the largest market because the region has less arable land available for growing quality crops and rapid industrialization. Nematicides have led to improved soil conditions that yield better crops for food consumption. 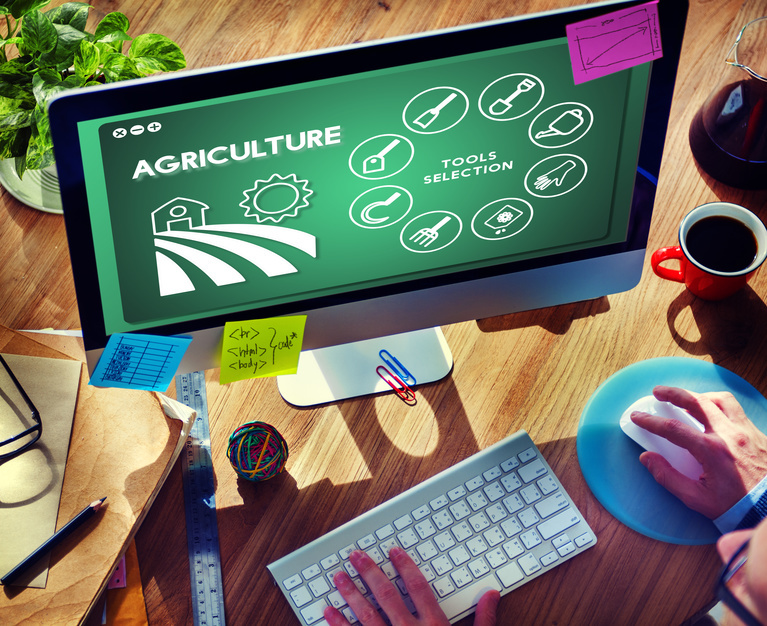 By 2021, the connected agriculture market will reach $3.06 billion, according to a report by MarketsandMarkets. This represents a compound annual growth rate (CAGR) of 17.9% from 2016, when the market was valued at $1.34 billion, and 2021. Why such strong growth? A sharp rise in world population will mean an increase in global food production. In 2016, global population was 7.4 billion. The United Nations believes the global population in 2030 will expand to 8.5 billion.